Jessica McPherson can still picture them in that huge picture window at the Dunn Furniture Co. every Christmas while she was growing up. HOULTON, Maine — Jessica McPherson can still picture them in that huge picture window at the Dunn Furniture Co. every Christmas while she was growing up. 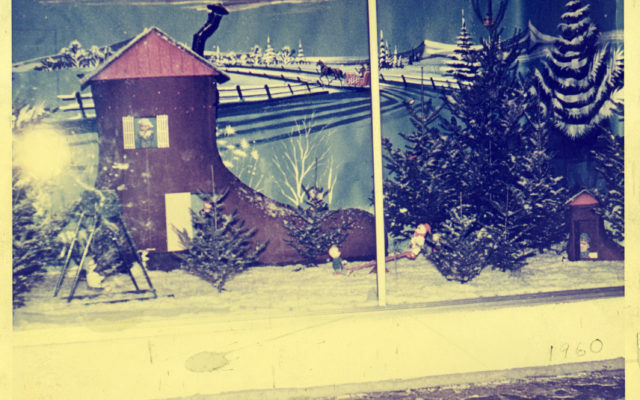 “They were the coolest things I ever saw,” the Presque Isle resident said Friday, recalling the winter wonderland scenes that were created for decades inside the window of that store. Frank Dunn, president of the business, also recalls the animated displays fondly. Dunn said that the idea for decorating the picture window was prompted by a trip his father took to New York City where he saw a display in Macy’s window. That was in the late 1950’s, according to Dunn. “He came back and wanted to do something on a smaller scale here,” Dunn said. At the time, the business was located in Market Square in the downtown, and a great deal of foot traffic went by the store. 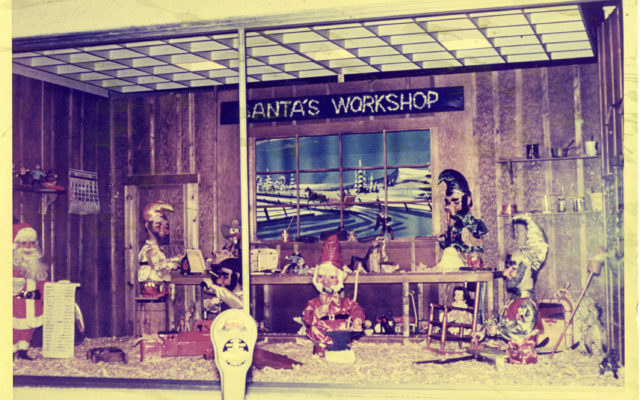 Dunn said that both Craigs and Currie put much time and effort into planning the scenes, which included Santa’s workshop with moving elves repairing toys, skiers whipping down mountainsides, and a scene based on the nursery rhyme about a little old woman who lived in a shoe. He said that figures such as the elves were built by hand by Craigs, who tore apart baby dolls and added parts to make some of them move. Shannon McIntyre of Houlton also recalled being taken to the store every December to see the window display. Dunn said that by the time Dunn Furniture moved to its North Road location in the late 80’s or early 90s, the winter scenes had grown smaller. McIntyre said that she and several of her friends who grew up in Houlton recall those store windows fondly. “It was just a wonderful childhood memory,” she said.